When you’re redesigning a sports team’s kit and logo, you know you have a big job on your hands. Not only are you designing for the players, you’re designing for the fans too – because all the decisions you make will have a direct impact on the supporters’ kit. And let’s be honest – there’s something very iconic about the design for American sports teams. 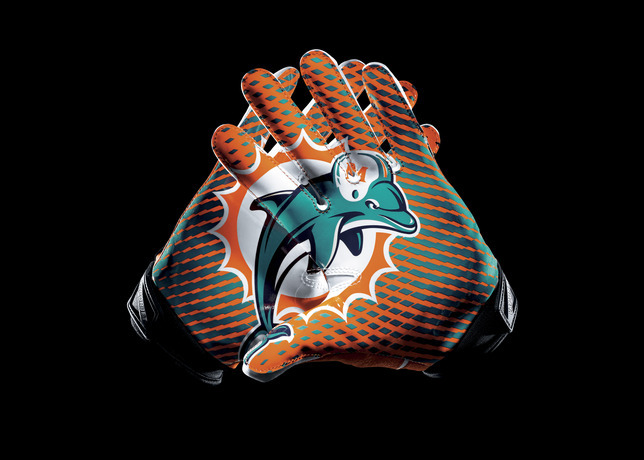 Nike recently redesigned the kit and logo for the Miami Dolphins, for the 2013 season. 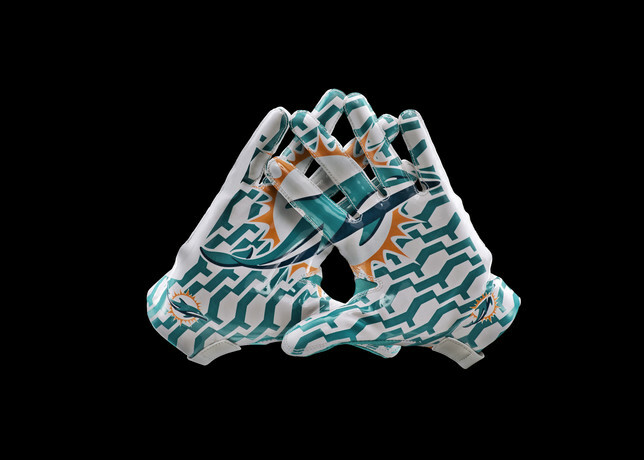 You can see how they updated the logo on the gloves below, streamlining it and bringing it up to date. Check out more of the uniform just below. And check out all the pictures here. 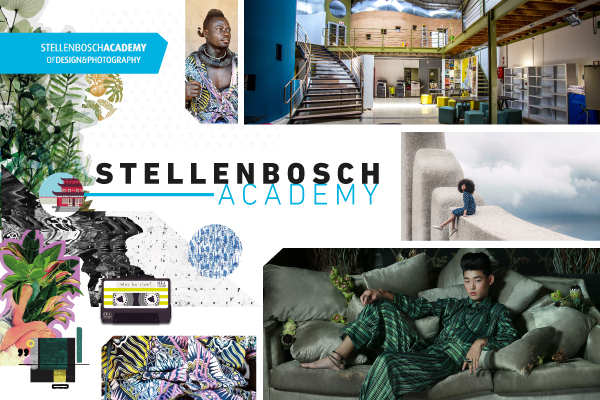 This entry was posted in Design and tagged Design, logo, sportswear on October 30, 2013 by stellenboschacademy. If you grew up reading Roald Dahl, the chances are you will have come across illustrator Quentin Blake – his iconic illustrations brought the BFG, the Twits and a range of other classic characters to life. Primarily an illustrator for children’s books, Blake also ventures into more adult territory. This collection of illustrations shows exactly what the name describes – women holding strange creatures. Using nothing but a reed pen and with no preliminary sketches, Blake brings his signature rough style to a series of nudes. Beautiful work! This entry was posted in Illustration and tagged Illustration, Quentin Blake on October 28, 2013 by stellenboschacademy. Robba Saldana set himself a mammoth task – to illustrate a song once a day, every day for an entire year. We love the quick, hand-drawn nature of this project but most of all we love the design thinking. The integration of type is great and many of these illustrations almost have a ‘logo’ look and feel to them. A great piece of work, which is still ongoing. Check out more of Robba’s work here. This entry was posted in Design, Illustration and tagged Illustration, Playlist Project, Robba Saldana on October 25, 2013 by stellenboschacademy. This beautiful set of illustrations by Rachel Ignotofsky shows kids (and let’s be honest, adults too) how different systems in the body work. They’re cute, they’re fun and they’re well executed. Wonderful illustrations. This entry was posted in Illustration and tagged Human Body, Illustration, Rachel Ignotofsky on October 23, 2013 by stellenboschacademy. If you love Scooby Doo, zombies and photography – then this photoshoot by Jeff Zoet is for you. Re-imagining Scooby Doo and pals as a gritty zombie fighting force, this photoshoot shows great art direction as well as a great photo manipulation. Check out some of the best shots in this post, but do yourself a favour and check out the full album here. And for more of Jeff Zoet’s amazing work, have a look at his site here. This entry was posted in Art Direction, Photography and tagged Art Direction, Jeff Zoet, photography, Scooby Doo on October 21, 2013 by stellenboschacademy. This is what happens when you combine a bunch of great illustrators, artists, designers, photographers and musicians with a love for colouring books (who doesn’t love colouring books?). Outside the Lines is a new book from Penguin, which features over 100 drawings by the likes of Shepard Fairey and Keith Haring, all for you to colour in. Beautiful! This entry was posted in Design, Illustration and tagged Colouring Books, Design, Illustration on October 18, 2013 by stellenboschacademy. This beautiful stop motion film was made by Michael Please, who created this as his graduation film at the Royal College of Art, where he was doing an MA in animation. It went on to win the BAFTA for best animated short in 2011. Take a look at the film below, as well as the making of. This entry was posted in Art Direction, Inspiration and tagged Art Direction, Stop Motion, The Eagleman Stag on October 16, 2013 by stellenboschacademy.